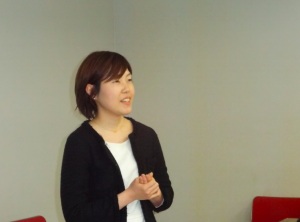 Yumiko Nagai, a 2014 Fellow, started a new job in January this year with United Way as the Japan Representative. United Way is a nonprofit organization founded in the U.S. in 1887 with a current donation total suming up to six trillion US dollars. Their focus is on creating and supporting programs that are rooted in target communities, by utilizing the spirit and know-how of the local scene. Nagai says she hopes to be able to spread this kind of grass-roots approach to community organization in Japan. 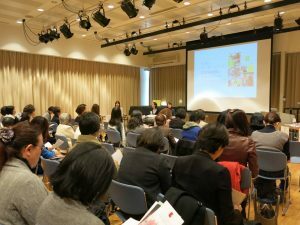 In commemoration of the 5th anniversary of the Great East Japan Earthquake, the Institute of Social Science at the The University of Tokyo hosted an event called “An Intergenerational Panel Discussion with Women Pioneers of DRR (Disaster Risk Reduction): Diversity and Risk Governence” on February 16th. Megumi Ishimoto, Executive-Director of NPO Women’s Eye and JWLI Alumni participated as a commentator. Along with Rumbidzal Kandawasvika-Nhundu, Ishimoto facilitated important discussions on effective risk governance, inclusivity in decision-making for disaster risk reduction, and the conditions of a truly resilient society. As we commemorate five years since the triple disasters that struck Tohoku, it is more important than ever to continue conversations surrounding these issues. By sharing experiences of disasters, we are able to investigate what works and what doesn’t, what is needed and what should be prioritized, in disaster risk reduction. Kiyono Yagami, JWLI 2012 fellow, was recently featured in an Asahi newspaper article about her founding a company called “Manabiya mom” in 2013, in Nagoya. Her mission was to encourage and support working mothers. Manabiya mom serves as a gathering place and working space for women with children. The many events and seminars hosted here provide training and networking opportunities for mothers who want to begin working or return to work, to fulfill their potential. Yagami hopes this organization will bring light to the multitude of working styles and lifestyles that exist in Japan, and make the working environment in Japan more supportive of mothers. Two of our 2015 Fellows, Kei Yoshidome and Akiko Ishiyama, gave a talk at their alma mater, Tokyo Women’s Christian University in February. The gathering was hosted by the university’s alumni association and served as an opportunity for the Fellows to speak to fellow alumni about what they learned through JWLI. Fifteen participants within a wide age range (30~80 years old) were also able to engage in discussions about women’s leadership and the role of women’s colleges. The President and Dean of the University were among the attendees of the event, and were highly interested in learning more about the fellows’ experiences at Simmons College. We would like to extend a word of gratitude to the University leaders for spreading the word about JWLI and our fellows’ continued work in their respective fields! 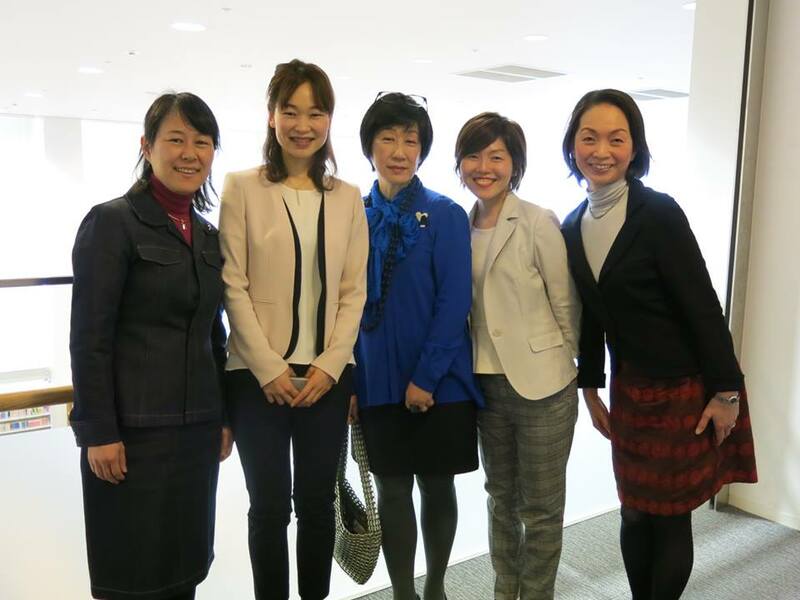 Akiko Ishiyama, Yuko Nakaona, Junko Tsuda, and Kei Yoshidome, our 2015 Fellows, participated in the event organized by JWLI Alumni in Osaka on the 27th of February. The theme of the conference was “Women’s Leadership and Management of NonProfit Organizations”. The fellows spoke about their own work in the nonprofit sector, as well as themes of philanthropy, leadership and public-private partnership that they were able to explore in depth during their visit to Boston. Event participants as well as fellow speakers were particularly moved and inspired by a speaker who shared her own experiences of being a leader in nonprofit work based in developing countries, as well as in Northern Japan. Thanks to the collaboration and efforts of our alumni, the 2015 JWLI Fellows Program Report was published in January this year. This annual report contains weekly reports of the month-long leadership program in Boston, as well as the fellows’ stories of their experiences throughout their involvement with JWLI. We would like to thank our four wonderful Fellows for all of their work and dedication to this program.